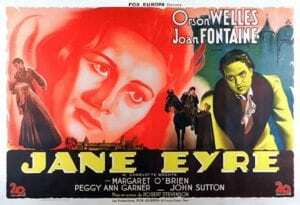 This three-week seminar for middle and high school teachers examines two frequently taught texts—Jane Eyre and Great Expectations—as reimagined and refracted in imitative texts, plays, and films. With a close eye on the core learning objectives of English study, we will consider the active cultural afterlives of these texts as we explore the pedagogical potential of literary and cinematic adaptations to promote critical thinking and students’ active engagement with literature. Informed by current and emerging trends in adaptation studies, the seminar explores a wide array of literary rearticulations, from textually “faithful” films to radical narrative realignments, as NEH Summer Scholars work their way through a carefully choreographed—and critically framed—sequence of multigeneric reincarnations of these two nineteenth-century novels: from textual appropriations to cinematic reimaginings, we will revisit Jane Eyre and Great Expectations across a range of media and in a wide variety of guises. With broad applicability, the seminar is designed to unlock pedagogical possibilities that are in no way limited to these two novels, or indeed to nineteenth-century fiction, as the adaptive approach we will explore can be applied across the full range of literary texts, genres, and periods. The study of literary adaptations promotes close reading, comparative textual analysis, critical thinking, creative writing, and the production of visual and digital media. By focusing on the enduring appeal of a given text or its availability for modern appropriation, adaptations-based pedagogies can very powerfully link “literary classics” to contemporary social issues and popular cultural forms, helping students locate a shifting cultural resonance as well as a personal relevance in the texts they study. And by directing their students to analyze the choices adapters make (in selecting which text to adapt or which medium to use; in choosing what to add, delete, emphasize, or alter in the source text), teachers can hone their students’ critical reading and reasoning skills. 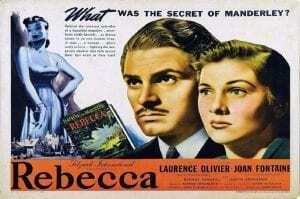 Roughly 30% of today’s films are adapted from novels, while 80% of modern bestselling novels are turned into films: this means that our students are avid—but sometimes uninformed—consumers of literary adaptations, though they may not always be aware of how much their reading of a literary text is shaped by previous encounters with its adaptations. The seminar seeks to develop ways teachers can provide their students with the conceptual frameworks or critical tools with which to view films, plays, and contemporary fiction in informed, intelligent ways. Interpreting and keeping in circulation the literature that seems to speak most profoundly to the human condition or to issues that persist across time and cultural boundaries, adaptations remind our students that culture matters, that literature and art help us to understand ourselves and our world. Such a perspective requires students to become more fully aware of themselves as culturally constructed readers positioned within specific historical, social, and personal frameworks. NEH Summer Scholars will put the seminar’s ideas into practice in their final projects, developing and sharing strategies for translating the seminar material into classroom activities that use adaptations to unlock canonical texts by prompting students to consider why “classic” literature remains relevant to contemporary culture and how it continues to inspire the modern imagination.